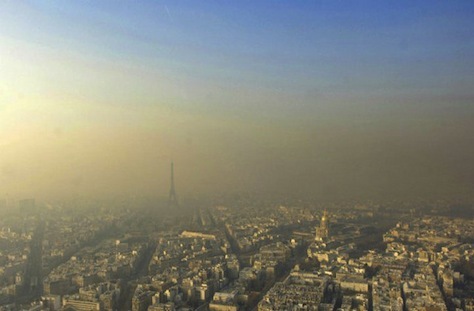 But the literal cloud hanging over the municipal elections is the recent smog that enveloped Paris. The sudden increase in pollution was due to a combination of factors, including weather patterns that trap harmful particles in the air in Paris’s Seine River valley. For one day, on March 17, Paris’s city government instituted restrictions on car use — motorists with even-numbered registration plates would risk a €22 fine for going out. The government revoked the restrictions after just one day, arguing that pollution had lowered sufficiently. But the restrictions launched a fierce debate in France over pollution levels that are typically more associated in global headlines with Beijing and Hong Kong, not Paris. 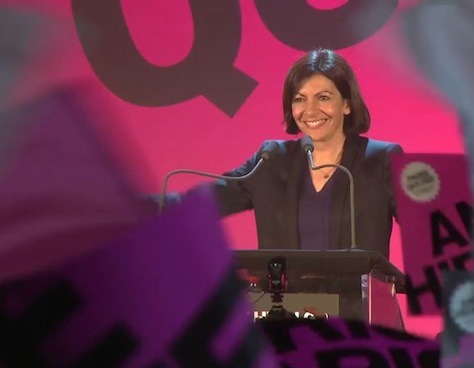 Though Hidalgo and her allies blamed Kosciusko-Morizet and the Sarkozy administration for insufficiently regulating air pollution, Parisian voters might yet turn against Hidalgo for the government’s handling of the smog incident. On the other hand, a renewed emphasis on traffic and pollution may have given a boost to the third-place candidate, Christophe Najdovski, of the Europe Écologie – Les Verts (EELV, Europe Ecology — The Greens), who has joined an electoral pact with Hidalgo and the Socialists. Hidalgo and the Socialists have pledged to eliminate diesel by the year 2020. Kosciusko-Morizet actually won the greatest number of votes in the first round (35.91%), but Hidalgo (who won 34.40%) can expect that supporters of green and other more socialist candidates in the first round (around 14% of the electorate, including 8.86% for Najdovski) will back her in the runoff. What does the Parisian election mean for national politics? Though Chirac famously used Paris as a springboard for the French presidency, Delanoë’s attempt to win the leadership of the Socialist Party in 2008 against Ségolène Royal and Martine Aubry failed. If Hidalgo wins, it will give the Hollande administration and the Socialist Party some comfort that, even at the nadir of its popularity, it can still hold onto its urban strongholds. If Hidalgo somehow comes up short on Sunday — and it’s a very real possibility — it will make the Socialists’ bruising first-round result on March 23 seem like a picnic. If Kosciusko-Morizet wins, it would be almost as stunning as Boris Johnson’s initial victory in the London mayoral race six years ago. It would also put her instantly into the top tier of candidates to lead the UMP in the 2017 presidential elections (unless, of course, Sarkozy decides to mount a comeback bid). 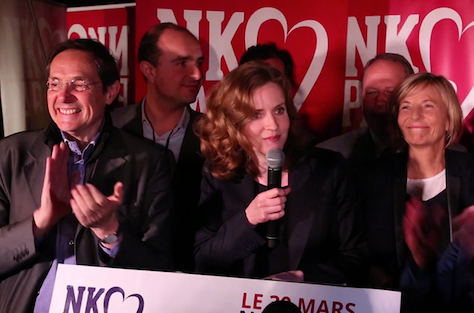 In contrast to former foreign minister Alain Juppé, former prime minister François Fillon or UMP secretary-general Jean-François Copé, Kosciusko-Morizet would represent a break with the Gaullist right that many French voters could find refreshing.